Hexorium Ore is a raw ore of Hexorium out of which the crystals can be obtained. The ore is added by HEXCraft. 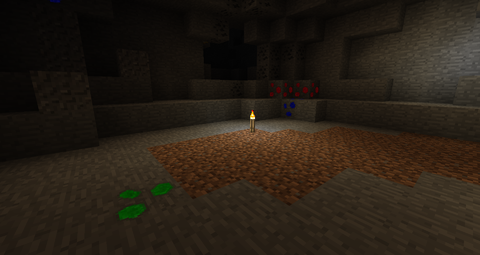 Hexorium Ore spawns naturally in the Overworld and can easily be identified by its characteristic glow-in-dark effect. For the counterpart that spawns in the Nether, visit the Hexorium Nether Ore page. The table below shows the spawning rates. 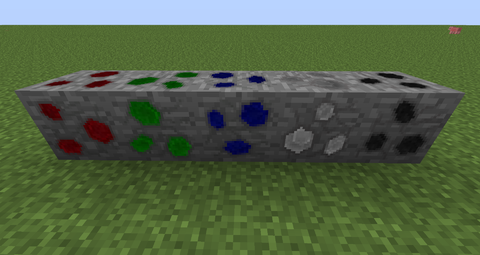 White and Black ores are more rare and difficult to find than Red, Green and Blue, making them much more valuable. 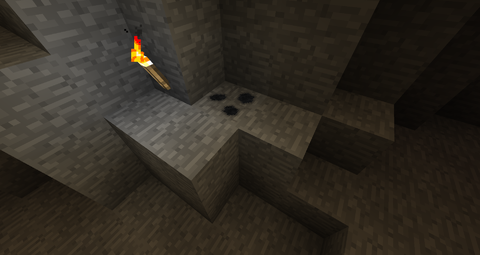 The ores can be mined using an Iron Pickaxe or greater. 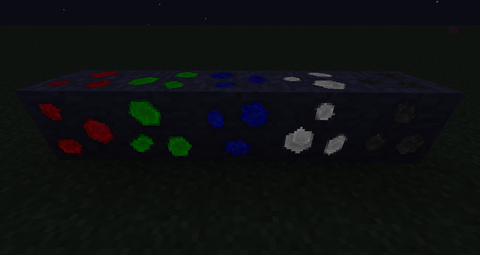 When mined without Silk Touch, the ores will drop raw Hexorium crystals. Crystal drop rate is increased depending on Fortune enchant applied to the pick. The table below lists the different drop rates. Again, White and Black ores have lower drop rates. Ores gathered using Silk Touch can be processed using the Crystal Separator. This kind of processing eliminates the random drop rates and makes the crystals always drop at same rates. These rates are higher than the maximum when using Fortune. Glow-in-dark effect. Black is barely visible. 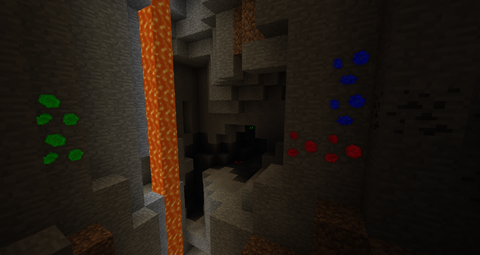 Example of naturally spawned ore in a ravine. 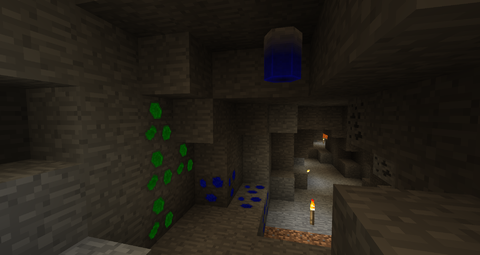 Example of naturally spawned ore in a cave. 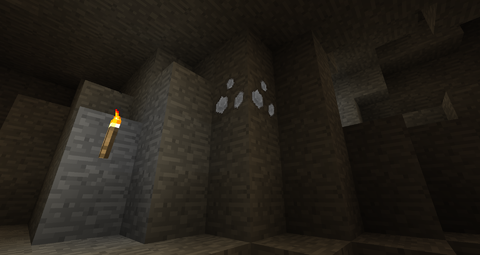 Example of naturally spawned White Hexorium Ore. Example of naturally spawned Black Hexorium Ore. Example of two larger veins and a Blue Hexorium Monolith. Hexorium Ore is the most natural form of Hexorium in existance. The reason why White and Black ores can be found deeper underground than Red, Green and Blue is because of a process called Discoloration. It is not entirely known how it works, but the process involves high pressure and lack of light. The result is Red, Green and Blue crystals binding together to form White crystals, out of which are Black crystals formed later on. You can read more about the ore on the Hexorium page. This page was last modified on 29 November 2015, at 12:10.